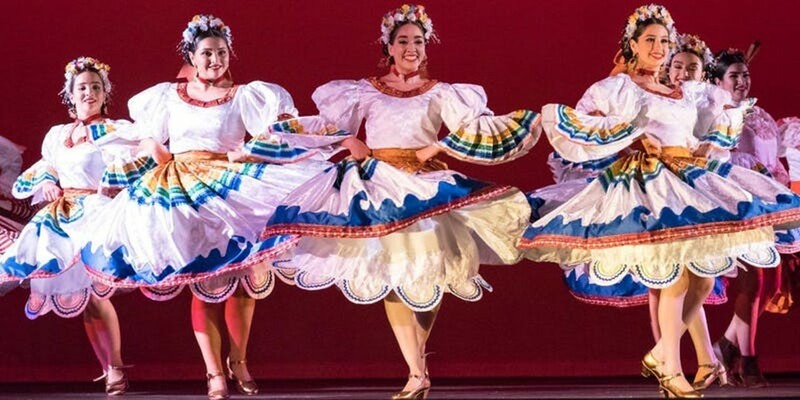 An Alamo City signature for 60 years and counting, the San Antonio Folk Dance Festival (SAFDF) returns to the campus of Our Lady of the Lake University this week with a program that’s sure to be bittersweet for organizers and regulars alike. Nelda Guerrero Drury, who founded SAFDF in 1958, taught dance at San Antonio College and got inducted into the San Antonio Women’s Hall of Fame in 2010, passed away this year on February 21. The 60th annual SAFDF last year celebrated both Drury’s 100th birthday and San Antonio’s Tricentennial. Honored with a tribute on the festival’s website that reads, “We will never forget you,” Drury’s legacy lives on through the colorful, eclectic tradition she gifted the city six decades ago. Showing no signs of slowing, the 61st annual affair kicks off Thursday with a Hawaiian-themed luau featuring food, performances and open dancing ($15, 7-10pm Thu, Mar. 14), followed by three full days of workshops that are open to all skill levels and led by instructors specializing in folk dance styles specific to the Canary Islands, Scotland, Mexico and Romania and the Balkans ($25 for individual sessions, $145 for a full festival pass, 1-9pm Fri, Mar. 15, 9am-5:20pm Sat, Mar. 16, 9am-4pm Sun, Mar. 17). The main event, however, is SAFDF’s annual concert, which this year showcases traditional dances from Romania, Russia, Haiti, Mexico, India, West Africa and North America as performed by New Orleans-based Komenka Ethnic Dance Ensemble, McAllen’s Ballet Folklórico South Texas College, Houston-based UZORI, and the local troupes Alamotion and the San Antonio Swing Dance Society ($10-$20, 7:30-9:45pm Sat, Mar. 16).